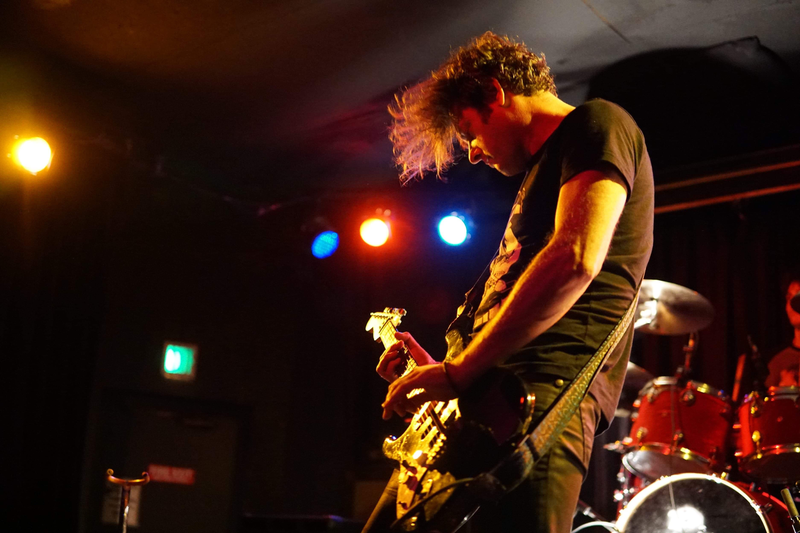 JASON ACHILLES is the nom de scène of LA-based producer Jason Achilles Mezilis, currently touring as a two-piece instrumental / experimental rock artist backed by drummer Forrest Mitchell. The duo creates all their music 100% live and organically with Jason performing guitar, bass and keys simultaneously. Most recently the band completed a run of shows up and down the Pacific Northwest, as well as a month-long summer tour through Europe and the UK in support of their 2018 “DISCØ” EP and music video releases. In addition to live performance, Jason traveled abroad [2016-2017] to record his original orchestral compositions with NY-based orchestrator Andy Brick. The first of these works was recorded in Hungary with the Budapest Film Orchestra and released as a single and music video in Dec. 2016. Most recently Jason was commissioned to compose a fully orchestral work scheduled for performance in 2020 at the renowned Renée and Henry Segerstrom Concert Hall (Irvine, CA). In January 2017 Jason began working with NASA’s Jet Propulsion Laboratory when he was called upon to assemble a team of audio research experts to advise NASA on microphone technology to be implemented on the surface of Mars with their upcoming Mars 2020 rover mission. This ongoing research led to a recent multimedia presentation at the IPM2018 Workshop on Instrumentation for Planetary Research in Berlin in September 2018. Born in Evanston, Ill., Jason spent his formative years with chickens and goats on a farm in northern Michigan, relocating with his family to the Silicon Valley where he studied classical piano and received his B.A. in Music from UC Berkeley with focus on theory and composition. Following a short stint working as an intern in San Francisco’s famed Coast Recorders Jason witnessed the ‘dot-com’ explosion and concurrent rapid demise of the SF music scene, and relocated to Los Angeles shortly thereafter. Further internships at The Record Plant (Hollywood) and Ocean Studios (Burbank) eventually led to Jason opening his own boutique analog studio – Organic Audio Recorders – in downtown LA, where he works with numerous local artists. His earliest musical inspiration was Vladimir Horowitz, a 1977 recording of Prokofiev’s “Peter and the Wolf” [Eugene Ormandy and the Philadelphia Orchestra], and The Muppet Show.